The Wii version of Planet 51 has 46 challenges. This page is a work in progress. At a later time we will also add other rewards, such as stickers and comic pages. If you need the PlayStation 3 trophies or Xbox 360 achievements instead, go to the Planet 51 Trophies and Achievements guide. Complete the first mission of the game... Have fun! Complete the mission "King Klong." Complete the final mission of the game. Knock the thief off his bike in less than 30 seconds. Throw every newspaper into a mailbox while working as a paperboy. Take all of Neera's books to the finish in less than 75 seconds. Complete the mission: "The Trap" in less than 150 seconds. Take the mechanic's car for a drive without crashing it. Collect all of Skiff's balloons in less than 60 seconds. Escape the Suburbs in less than 160 seconds. Catch all the dogs while using only 12 shots or less in the mission: "Chasing Dogs." Complete the race in the canal in less than 130 seconds, and with more than 50% life. Complete every jump in the city without making any mistakes. Collect all the rocks in the stone rain in less than 70 seconds. Complete all the clients' routes with more than 15 seconds remaining. Complete the race in the desert using all available shortcuts. Avoid all traps in Base 9 in the mission: "Meet You There." Escape from Base 9 with more than 50% life. Reach the MAX level in the task "Car Crusher." Reach the MAX level in the task "I Can Do Anything!" All Our Subscribers Are Happy! 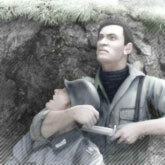 Reach the MAX level in the task "Glipforg News Paperboy." Reach the MAX level in the task "Glipforg Deliveries." Reach the MAX level in the task "Suburban Racer." Reach the MAX level in the task "Too Many Dogs in this Town." Reach the MAX level in the task "Hot Bombs." Reach the MAX level in the task "Taxi!" Reach the MAX level in the task "Rocks and Roll!" Reach the MAX level in the task "Racing Down Town." Reach the MAX level in the task "Race in the Desert." Reach the MAX level in the task "Push and Win." Travel 6.5 mi (10 km) by bicycle. Travel 280 mi (450 km) by car. Perform a jump of 260 ft (80 m) or more. Use all the Repairers in the game. Destroy 50 pieces of property in 120 seconds. Elude the law enforcers 3 times in a row in the same vehicle. Maintain the maximum level of alert for 3 minutes. Unlock all the multiplayer elements. Obtain all the comic frames scattered around Planet 51.